This is not your average love story of where two high school sweethearts meet up again after moving on and marrying others only to return home after a failed marriage/relationship. No, this is a story where two people were madly in love and one made a mistake that changed the course of both of their lives. Tansy did just that. At a party after the death of her father, she drowned her sorrow in alcohol and woke up in the bed of another man. When she realized she was pregnant, she felt she had no choice but to marry the sperm donor, breaking Beck's heart. It’s been more than five years since Tansy broke Beck's heart and he still harbors the anger and resentment as much today as he did then. What he doesn't understand is why? Why didn't she come home to him? Give him a chance to raise that adorable child as his own? Why did she turn to someone else when he would have gladly done anything to help her. Tansy is back home, tail tucked between her legs, with her daughter and not much else. 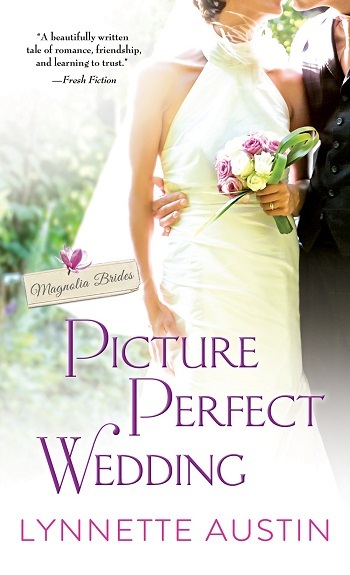 She wants to bake cakes, make a home for her daughter and try to make peace with her past. And with Beck. What follows is two people who have to come to terms with the past and how it shaped who they are today. 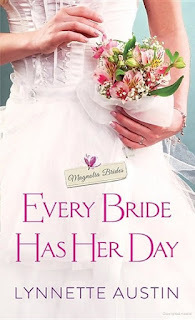 For reviews & more info, check out our Every Bride Has Her Day post. 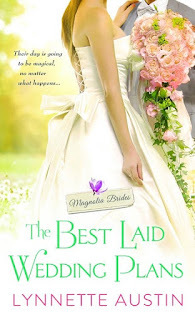 Reviewers on the Wicked Reads Review Team were provided a free copy of Picture Perfect Wedding (Magnolia Brides #3) by Lynnette Austin to read and review.